If you are purchasing your first new vehicle, have to contend with traffic and tight parking spaces, or simply want good value, the 2016 Chevrolet Spark and 2016 Toyota Yaris deserve your attention. These small cars pack a lot into a little and offer more than most expect. See how they compare head-to-head before you make the short trip to Sunrise Chevrolet in Glendale Heights, IL, just 10 minutes from the heart of Bloomingdale. How can you pass up an opportunity to save thousands of dollars on your vehicle purchase? The 2016 Chevrolet Spark starts with an MSRP of only $12,660, making it one of the cheapest cars on the market right now. In contrast, the 2016 Toyota Yaris is priced much higher at $14,895. Saving money isn’t just about paying less on a vehicle’s sticker price. 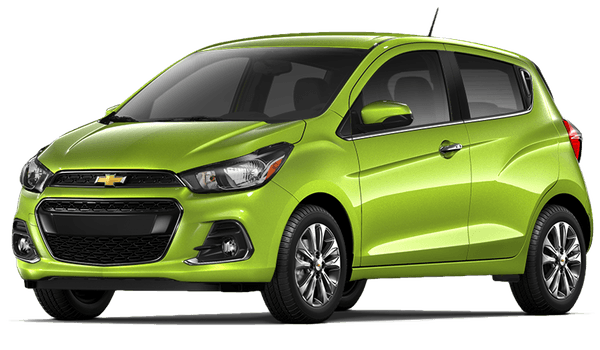 It’s also about paying less for each tank of gas you buy, in which case the 2016 Chevrolet Spark wins outright. Maximum fuel-efficiency on this model is rated at 31 mpg city and 41 mpg highway, while the 2016 Toyota Yaris maxes out at 30 mpg city and 37 mpg highway. Plus, new for 2016, the Spark is available with a forward collision alert and lane departure warning systems. In the same test, the IIHS gave the 2016 Toyota Yaris the second-worst rating of “Marginal.” Also, the Yaris is only available with features that help you survive a crash, not any advanced features that help you avoid one. Just because you want to pay less doesn’t mean you should settle for a car that feels stripped down and emptied out. As such, the base trim of the 2016 Chevrolet Spark comes standard with appealing features like automatic headlights, a stylish rear spoiler, an outside temperature display, and the Chevrolet MyLink infotainment system. Plus, you get the OnStar telematics system, which improves safety, helps you with navigation, and serves as a 4G LTE Wi-Fi connection. 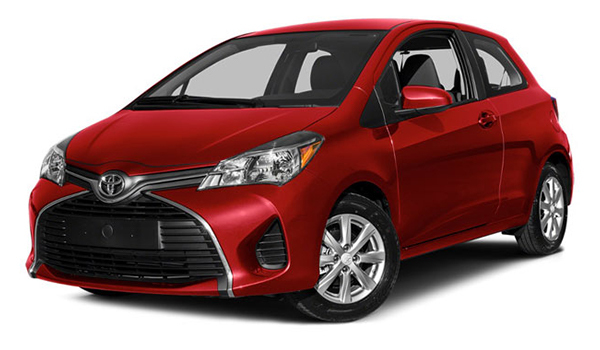 Meanwhile, the 2016 Toyota Yaris’ base trim does not come standard with the features mentioned above. Catch the 2016 Chevrolet Spark at Sunrise Chevrolet! Head to Sunrise Chevrolet, located at 414 North Ave. in Glendale Heights, IL, to tour and test drive the 2016 Chevrolet Spark. If you have any questions before you stop by, feel free to contact one of our Chevrolet experts.